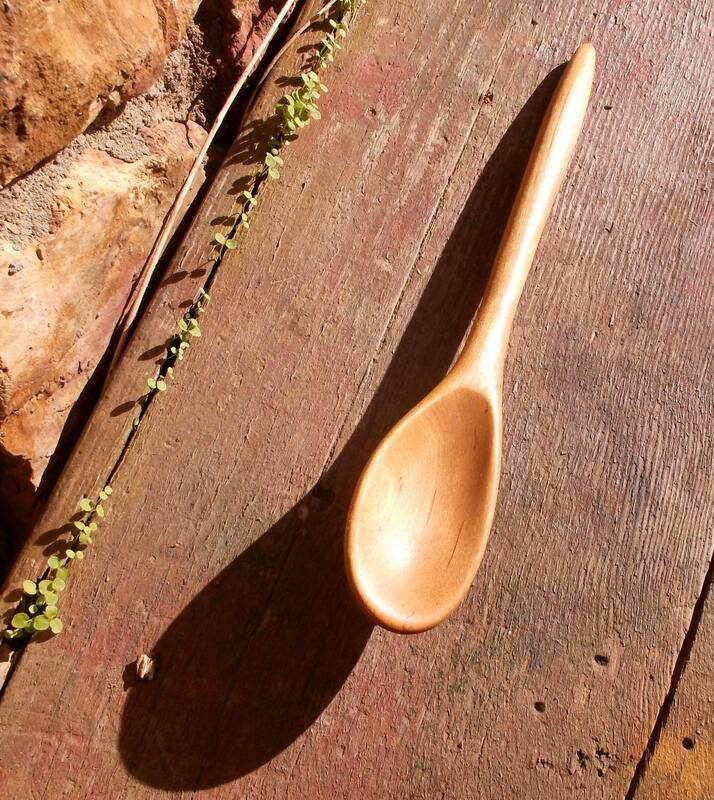 A beautiful heirloom wild cherry spoon hand carved by the reclusive Zen Spoonmaster (ZSM ) of Hungry Holler Art Refuge. If your mama raised you right, and we know she did, you wouldn't think of attending a gathering without bringing the host or hostess a little something. 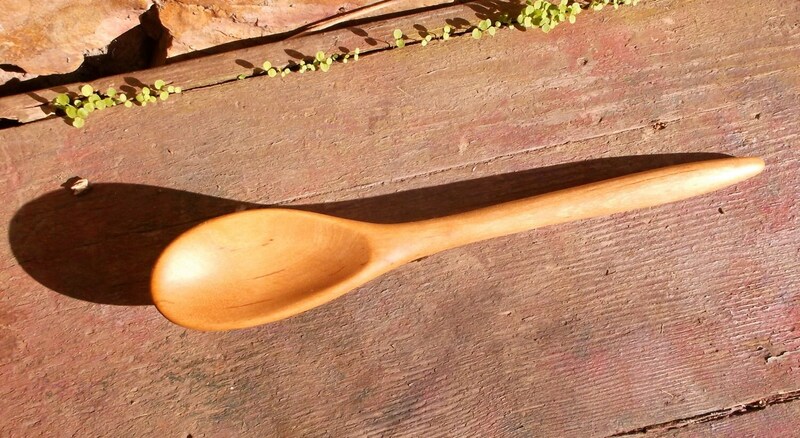 A Hungry Holler spoon is perfect. It's useful sculpture, one of a kind, and $22.50, shipping included! 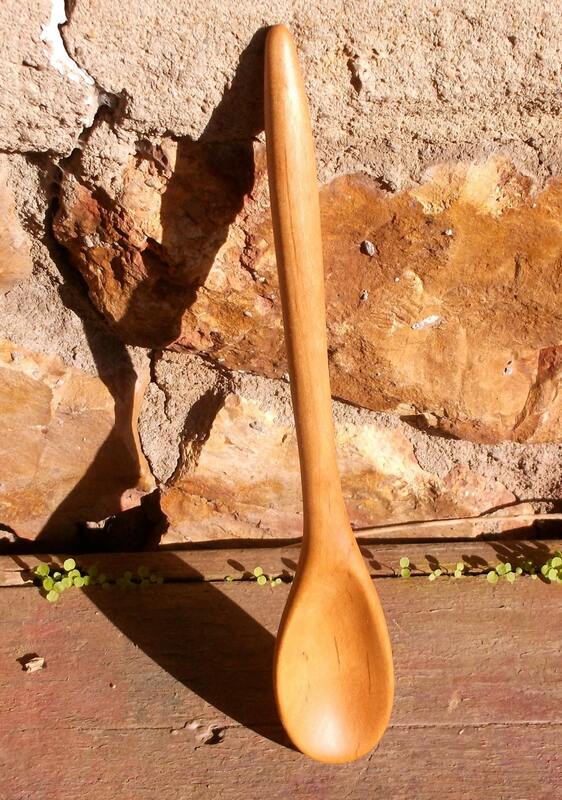 Spoons glow warmly, grain accented, from the ZSM's own finish of mineral oil and beeswax. 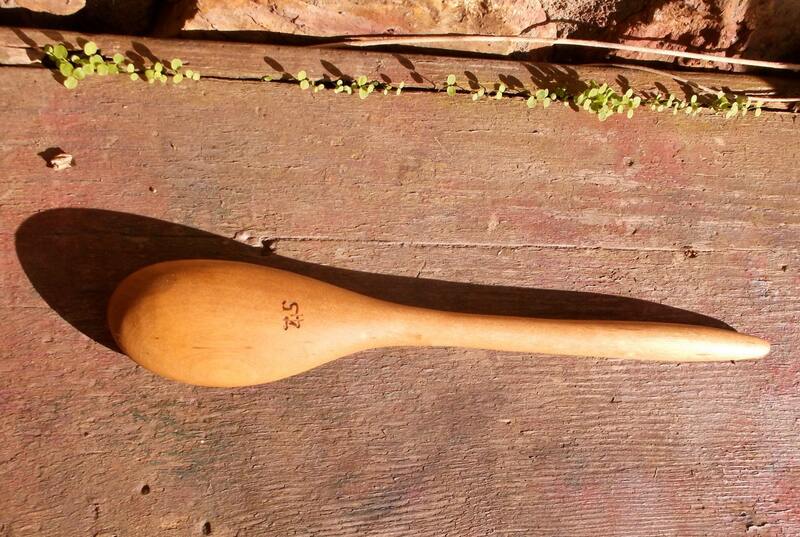 Signed on the back, spoons measure approximately 11-1/2 inches long.